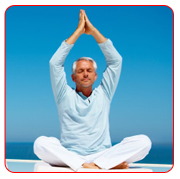 "Prana" means breath, vitality, life or energy and "ayama" means to expand. "Pranayama" are breathing techniques that enable us to control and prolong the breath and to normalise the flow of prana in the body. Breath is the external demonstration of prana, the vital force. By exercising accurate control over breathing you can control subtle prana inside, hence prana is the stoppage of exhalation and inhalation. 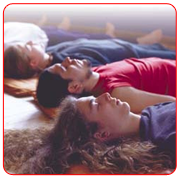 The student will learn to practice the proper rhythmic patterns of deep breathing, which will fortify the respiratory system, reduce desire, and sooth the nervous system allowing the mind to be still. 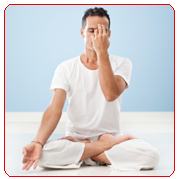 Pratyahara refers to the “withdrawal of the senses”. Humans are constantly led by their ambition and are focused on the external world. Diverse techniques are introduced and practice (walking meditation, sound meditation, yoga nidra, chakra meditation) to facilitate student to look inwards and not be pulled by the senses towards the outside world. When this occur one experiences a sense of calm and one can treat disaster & triumph with equanimity. It is an advanced practice of Pratyahara, Yoga Nidra or “Yogic Sleep” is a sleep like situation which is experienced during meditation. It helps to eliminate pressure in the physical body whilst preparing one for subtler spiritual exploration. 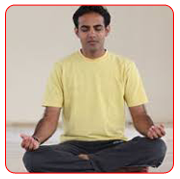 Mantra chanting is one of the most effectual ways to stimulate personal transformation. Heavy chanting of mantras creates sound tremor that purify negative emotions such as anger, jealous and fear, leaving optimistic emotions such as peace, happiness and love. 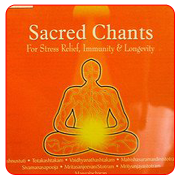 On the body, chanting has calming effect on our nervous system, helps in Relaxing muscles and is an antidote for depression and stress. Mouna is a special period of silence and is considered a remedy for depression and stress. t is scared silent time where we persist our yoga practice and lives daily without speaking, instead spending our time moving inwards- meditation, reading spiritual books or contemplating. Guests at Rishikesh Yoga Retreat are always welcome to question and converse various aspects of yoga with our trainer who can give them a detailed environment & technical rationale behind each aspect of yoga. We intend to give our guests a profound knowledge of yoga and allow them to appreciate the therapeutic and physical benefits as well as spiritual and emotional impact of practice. These communications can be scheduled at a time expedient to the teacher and guest.